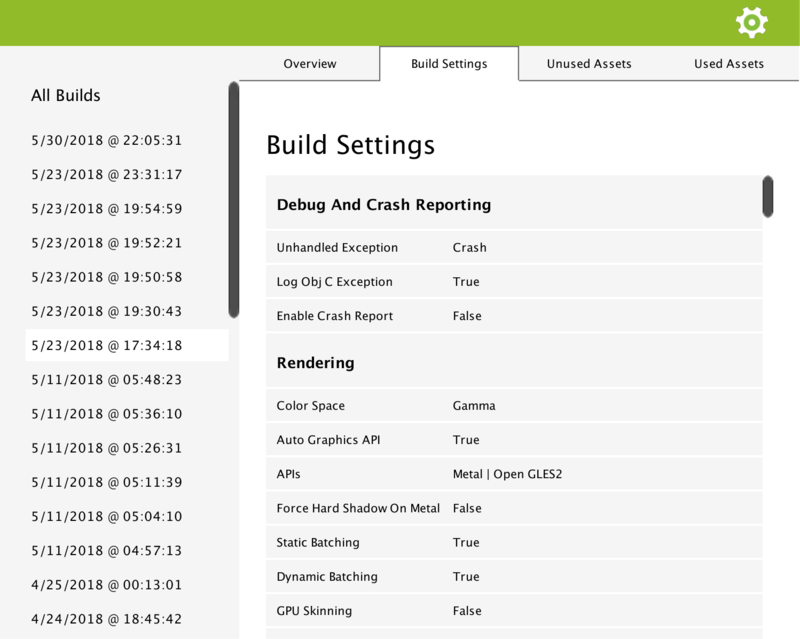 The build settings panel shows you which settings were used for the platform you were building for. The settings displayed are relevant to the platform. So if a setting is specific to Android, like the target API Level, then it won’t be displayed if the platform targetted was Standalone. © Copyright 2017 - 2018, Well Fired Development Revision 9d02f0d4.